Web Screenasting tools help you create video recording of your desktop screen sans software like Camtasia Studio or Jing. They don't require installation and work across all platforms. After office suites and image editors, the next wave of applications that are moving to the "cloud" are screencasting tools or programs that create video recordings of your desktop screen sans software. 1. You don�t have install any software for recording the screen - just an active internet connection would do. 2. 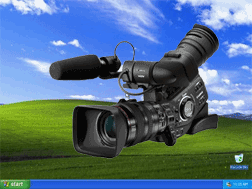 Web based screen recorders are generally written in Java and hence support all major platforms and browsers. 3. The recorded video (aka screencast) gets uploaded to the web automatically so you don�t have to worry about web hosting or what format to choose when saving the video. This is the original screencasting app built for the browser. Just pick a standard video size from the available presets (640�480, 800�600, etc.) and hit record. You can also add overlay text notes to recorded screencasts similar to annotations in YouTube. The downside is that Screencast-o-Matic doesn�t allow you to record video of custom dimensions and second, it doesn�t render video in Flash so viewers will require Java to watch the recordings. On the plus side, Screencast-o-Matic is the only application that lets you export screencasts out the system as QuickTime movies that you may upload to other video sites. This is an almost perfect screencasting tool that lets you record either the full desktop screen or a custom area. You hit the shortcut key (Alt+S) to start recording, drag a rectangle on the screen to select an area and then hit the same shortcut key to stop recording. Skoffer is more than just an online screencasting app - it lets you add screen recording capabilities to any website / blog via an API. They even provide a plugin for WordPress so you may directly record and embed screencasts while writing a blog post. The website require no registration and the quality (resolution) of recorded video is pretty good. Unlike the previous two services, Skoffer doesn�t offer a YouTube like portal for sharing screencasts nor there�s an option to export videos.